1. Stacks on stacks of cahiers. 2. Scholastic fair flyers that you cherished, took home and then used to beg your parents for money. 3. Some UNICEF donation boxes from Halloween. 4. Half-finished worksheets where students gave up trying to colour in Nunavut. 5. Napkins left over from “Pizza Day”. 6. A TV on a wheely cart with a VHS tape packed with Heritage Moments. 9. Boots lined up outside classrooms. Or maybe you had an entire ~boot room~ that was so full of gravel that it looked like a sand pit. 10. The entire "DR. AND MRS. VANDERTRAMP" permanently written on a blackboard. 11. An old floppy disk of The Oregon Trail that was lowkey so morbid. 12. And an ancient PC computer with Math Circus on it. And probably a scratched up Roch Voisine CD in it. 13. Vibrant bristol board and those 3-panel projects on something that's RIDICULOUSLY Canadian. 14. Approximately 27 single mittens who lost their partners. 15. Posters for the Terry Fox Run. 16. A Canadian flag (obviously). 17. Busted sports equipment that you never got to use because recess consisted of scuffling around in the snow, trying to stay warm. 18. Some unused French-English dictionaries tucked away in a shelf. 19. A pile of soaking wet snow pants. Worst part was putting them back on at the end of the day. 20. 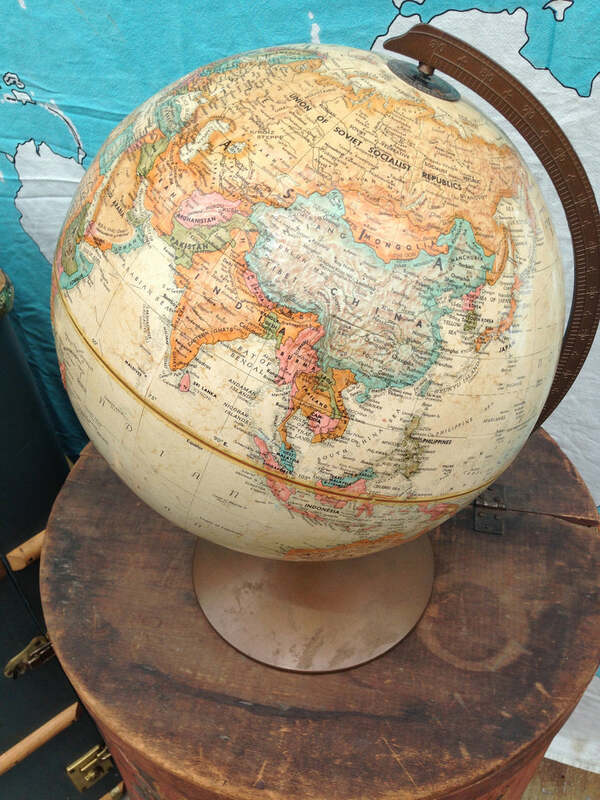 Globes and atlases that STILL included the Soviet Union. 21. And finally, that one carved up desk that was mutilated beyond repair.